by FRED ABRAHAMSE with design by MARCEL MEYER. Tom Hanks is co-producer on the first of the two new films, a biopic starring Benedict Cumberbatch as Epstein. The second film currently in the works is based on a graphic novel called ‘The Fifth Beatle’ by Vivek J Tiwary. 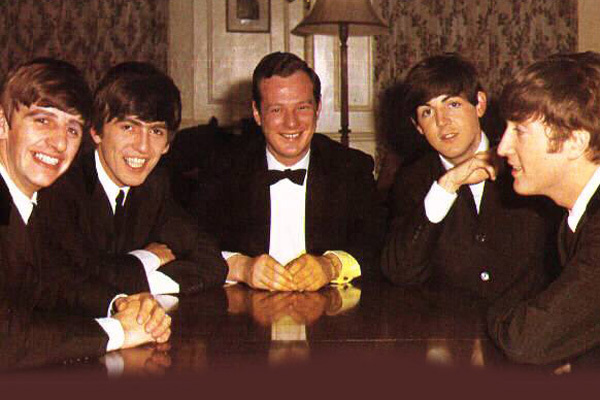 Brian Epstein battled gambling and drug addiction before dying from an accidental overdose in 1967. He managed The Beatles from 1962 until his death. In 1997 Paul McCartney said of him, “If anyone was the Fifth Beatle, it was Brian.” Brian’s death was also the beginning of the end for The Beatles, who split up in 1970. He also successfully managed Gerry & The Pacemakers, The Dakotas, The Fourmost, Sounds Incorporated and Cilla Black. The story of the man behind the world’s first supergroup and a play of the highest calibre, with tour de force performances that music- and theatre-lovers will revel in!